Awarded by the Advisory Council on Community Relations in Defence (ACCORD), this award honors employers who have demonstrated strong support for National Service. Organisations that go the extra mile will be accorded the Advocate of NS Award in recognition of their strong support and pro-active policies and roles. The award is given to SMEs with outstanding performance and presence in the ASEAN Economic Priority Integration Sectors. The Corporate Social Responsibility award recognizes companies showing excellent corporate social responsibility practices. 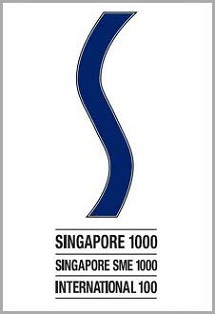 Established in 1987, The Singapore 1000, Singapore SME 1000 & Singapore International 100 awards are conferred to corporations and SMEs which have attained the highest achievements in the quantitative management of their companies. 1. 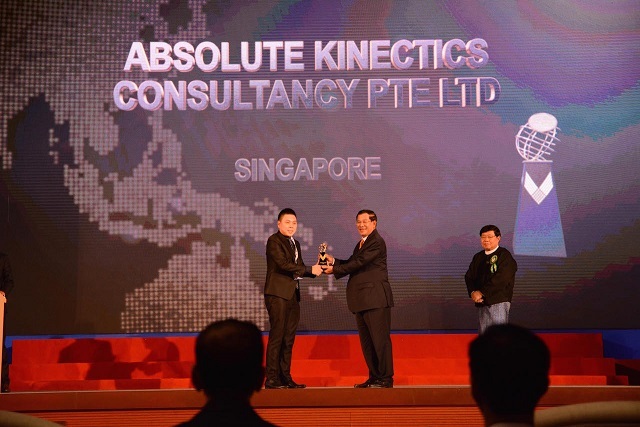 “SINGAPORE SME 1000 2015: FASTEST GROWING 50 companies award. The Singapore Health Award presented by the Health Promotion Board (HPB) is given to workplaces & individuals for implementing excellent Workplace Health Promotion (WHP) programmes. Inaugurated in 1989 by the Rotary Club of Singapore, The Entrepreneur of the Year Award (EYA) is the oldest Award in Singapore that salutes and honours local entrepreneurs who have shown outstanding performance as business owners, be it emerging or established enterprises, in their chosen field of entrepreneurship. 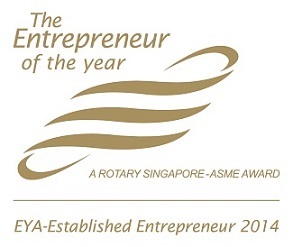 In 1992, the Association of Small & Medium Enterprises (ASME) was invited to join hands with the Rotary Club of Singapore as a Co-Organiser of the Award, resulting in the creation of The Entrepreneur of the Year – A Rotary Singapore – SME Award. 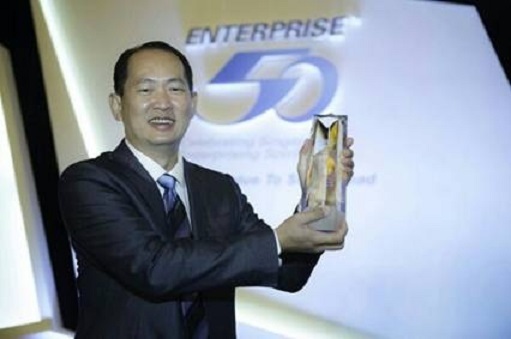 Established in 1995, the Enterprise 50 (E50) award recognises local, privately-held companies who have made significant economic development in Singapore and abroad. 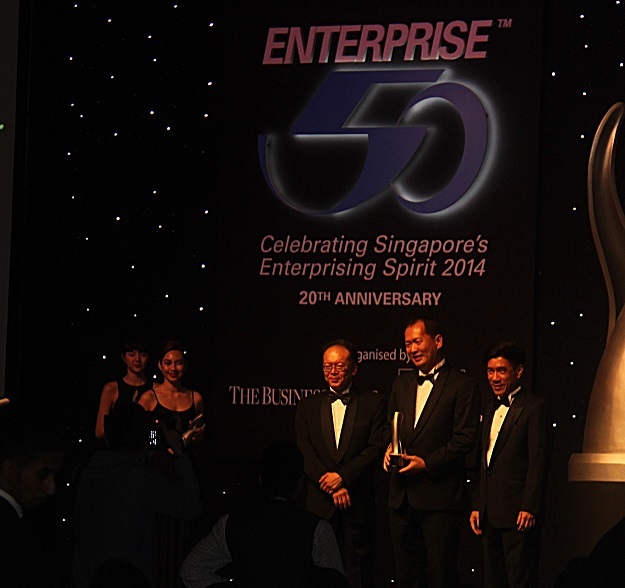 The E50 award is jointly organised by The Business Times and KPMG. 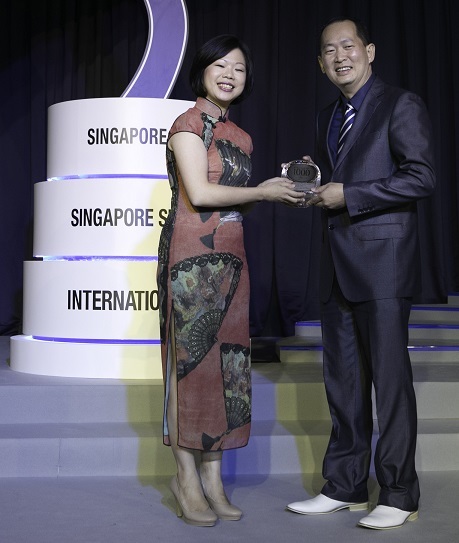 The E50 Award is also supported by the Infocomm Development Authority of Singapore (IDA), International Enterprise Singapore (IES), Singapore Business Federation (SBF) and SPRING Singapore. 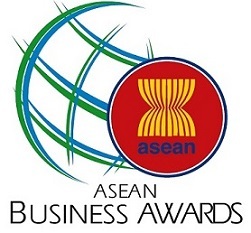 Established in 2007, The ASEAN Business Awards is an awards programme organised by the ASEAN Business Advisory Council (ASEAN-BAC) designed to recognise the outstanding enterprises in the ASEAN business community. It has served as a platform to showcase of outstanding business practitioners in ASEAN. 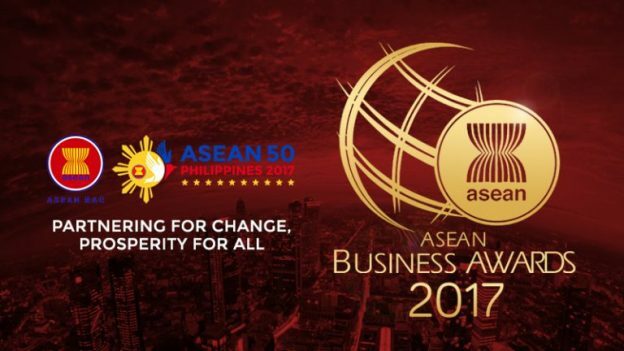 There will be national winners in each award category in each country, who will then compete on the regional level to become the coveted ASEAN Champions in each category. The MSME (Most Admired Micro, Small & Medium Enterprises) category award recognizes companies that have shown strong company financial performance, growth rate, professional and career developments of its employees and the implementation and measurements of corporate social responsibility programmes. 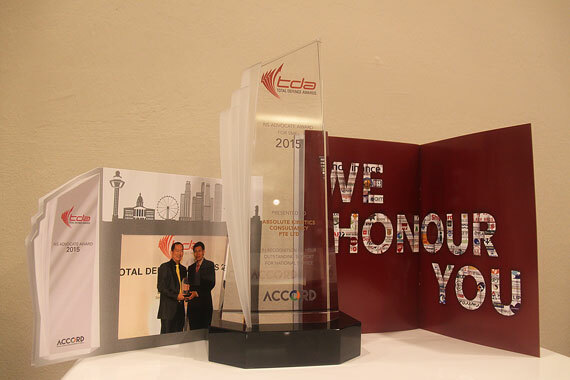 b) Most admired ASEAN Enterprise – Micro, Small & Medium Enterprises (National Winner, Singapore). 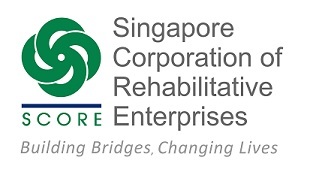 The Singapore Corporation of Rehabilitative Enterprises (SCORE) Model Supervisor Award is given to supervisors of companies who have hired ex offenders. These supervisors are nominated by the offenders and recognised for the efforts of “going the extra mile” in coaching and enabling offenders to better cope with job demands. This award acknowledges the important role of supervisors in the reintegration of offenders. 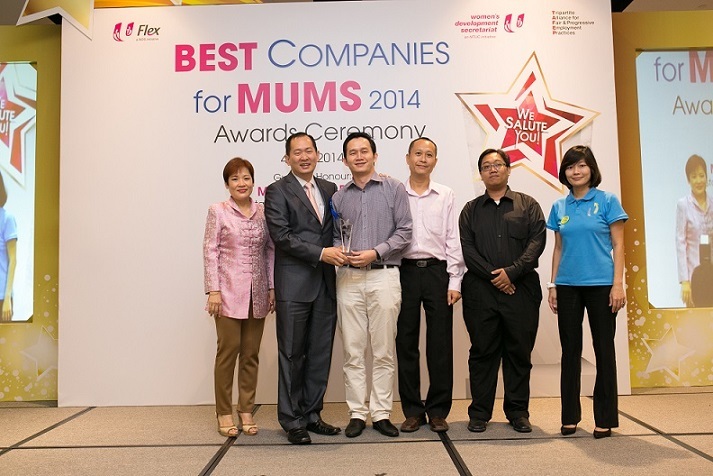 Jointly organized by Women Development Secretariat (WDS) of National Trade Union Congress (NTUC) and Tripartite Alliance for Fair Employment Practices (TAFEP), the “Most Enabling Companies for Dads” award recognises companies and organizations for their exemplary Flexible Work Arrangements and work-life family friendly practices for working dads. 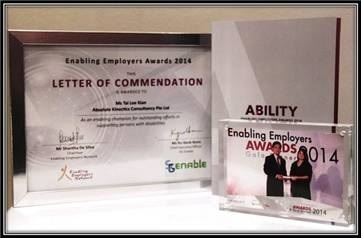 The Enabling Employers Awards are organised by the Enabling Employers Network and SG Enable, and supported by the Ministry of Social and Family Development (MSF) as part of a collective effort to champion the employment of persons with disabilities in Singapore. The Token of Appreciation award is awarded to organizations that have made efforts to hire and integrate persons with disabilities with their abled-bodied employees. The Enabling Champion award is awarded to individuals for their extraordinary efforts in integrating persons with disabilities into the organization. 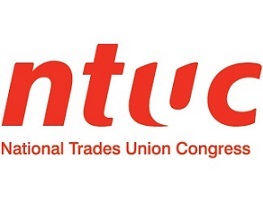 Centered on the theme of 'Every Worker a Better Worker, Every Job a Better Job', the objective of the National Trade Union Congress (NTUC) May Day Model Partnership Awards 2014 is to recognize Workers and HR/Supervisors who strive towards achieving better jobs for all. 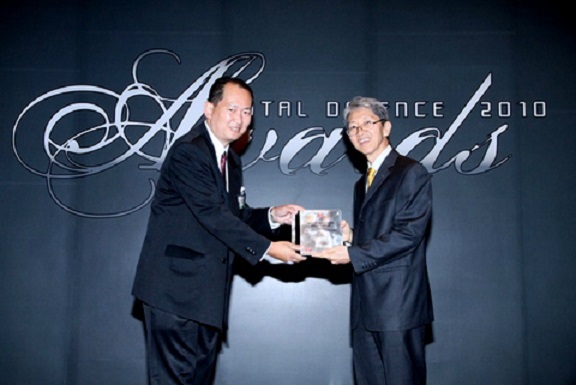 AKC was awarded the Model Partnership Award under Category B, Human Resources / Supervisor. 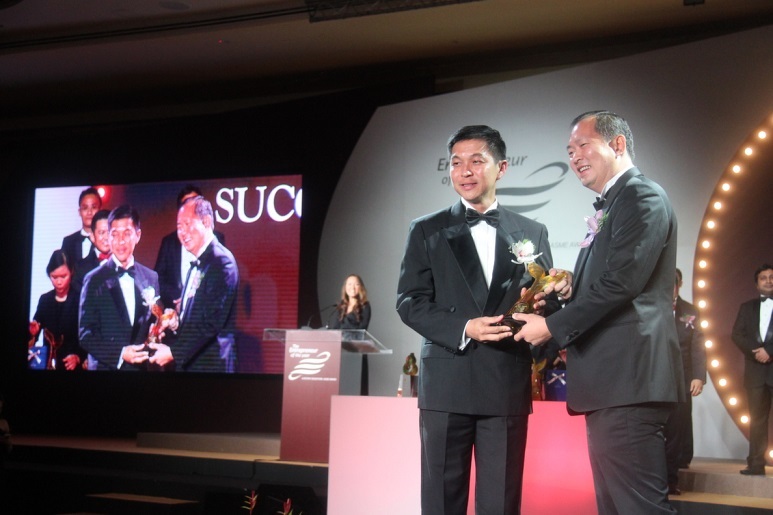 2) “SINGAPORE SME 1000 2014 : PROMISING SME CROSSING $50 MILLION” awards. 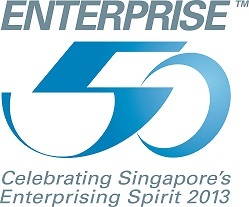 Established in 1995, the Enterprise 50 (E50) award recognizes local, privately-held companies who have made significant economic development in Singapore and abroad. 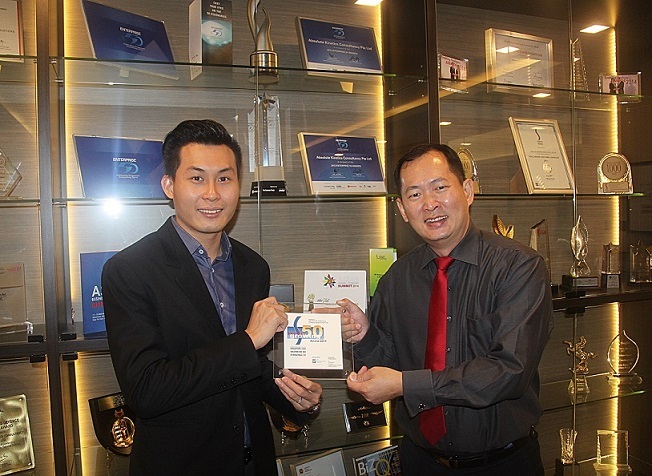 The E50 award is jointly organized by The Business Times and KPMG. 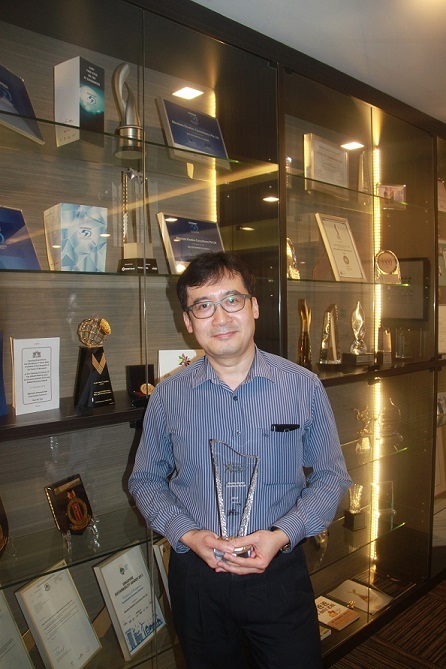 The E50 Award is also supported by the Infocomm Development Authority of Singapore (IDA), International Enterprise Singapore (IES), Singapore Business Federation (SBF) and SPRING Singapore. As a first time award entrant, AKC was ranked 15th out of 50th in 2013. 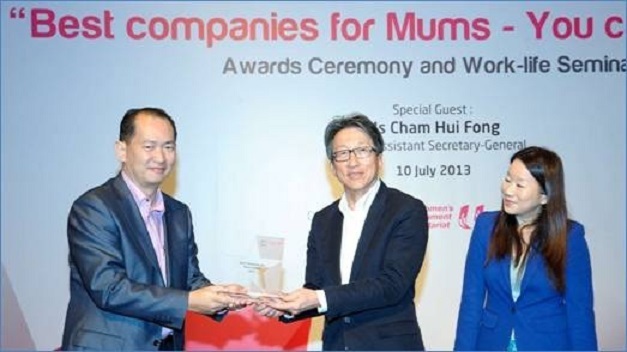 Jointly organized by Women Development Secretariat (WDS) of National Trade Union Congress (NTUC) and Tripartite Alliance for Fair Employment Practices (TAFEP), the “Best companies for Mums” award recognizes companies and organizations that have implemented good work-life balance practices for working mothers. The Spark of Hope Award is awarded to individuals or organization that have made special contribution to Singapore Corporation of Rehabilitative Enterprise (SCORE) projects, events or programs. AKC is a recipient of the SCORE Spark of Hope Award in 2013. SCORE was established as a statutory board under the Ministry of Home Affairs in 1976. SCORE plays an important role in Singapore correctional system through the provision of rehabilitation & aftercare services to in mates & ex-offenders, hence contributing to a safer Singapore. One of its key community engagement initiatives is the Yellow Ribbon Project. 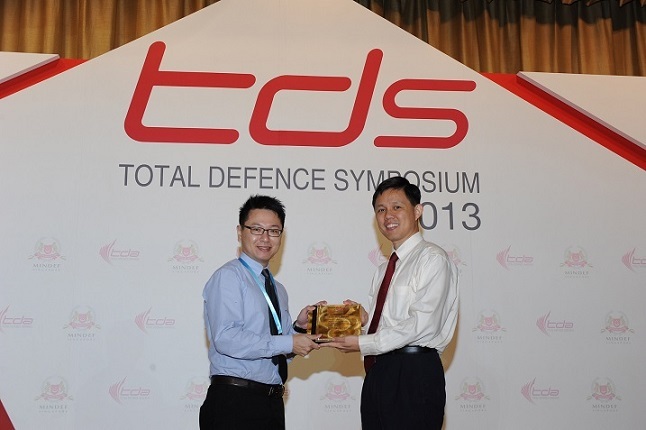 Awarded by MINDEF (Ministry of Defence), the Singapore Total Defence Awards distinguishes and recognizes the support that employers have extended towards National Defence and National Service of Singapore. 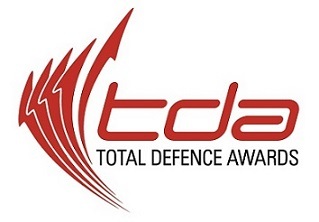 To recognize these organizations for their support and contributions towards nation defence, MINDEF / SAF introduced the Total Defence Award (TDA) in 1986. The Distinguished Defence Partner Award is presented to Employers who have consistently demonstrated outstanding support for National Defence. These Companies are regarded as avid supporters of National Service and are among the top 20% of the award participants. Introduced in 1997, the Home Team NS Awards for Employers (previously named the MHA Award for NSmen Employers) are presented by the Singapore Police Force (SPF) and the Singapore Civil Defence Force (SCDF) annually. The Awards recognize and reward employers of SPF and SCDF NSmen for their contributions and support towards National Service activities. Presented by the Tripartite Alliance for Fair Employment Practices (TAFEP), the TAFEP Exemplary Employer Award recognizes exemplary organizations that have effectively implemented fair, responsible and inclusive employment practices. The Singapore Health Award presented by the Health Promotion Board (HPB) is given to workplaces & individuals for implementing commendable Workplace Health Promotion (WHP) programmes. 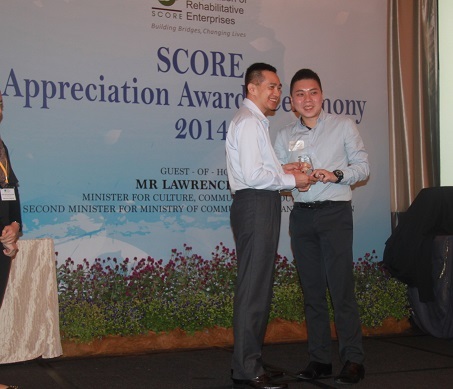 The Singapore Corporation of Rehabilitative Enterprises (SCORE) Model Supervisor Award is given to supervisors of companies who have hired ex-offenders. These supervisors are nominated by offenders and recognized for the efforts of "going the extra mile" in coaching and enabling offenders to better cope with job demands. This award acknowledges the important role of supervisors in the reintegration of offenders. The Meritorious Defence Partner Award is presented to those who have demonstrated commendable support for National Defence, in particular National Service. Awarded by the Tripartite Committee on Work-Life Strategy (TriCom) and endorsed by the Ministry of Manpower (MOM), the Work-Life Achiever Award recognizes employers who are committed to helping their employees complement employee work and personal commitments. The biennial Work-Life Awards distinguish employers who have effectively put into practice strategies & policies to help employees cope with their working commitments and individual needs so their work performances are enhanced. 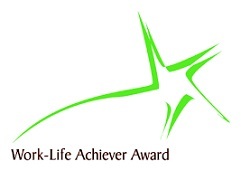 The Work-Life Excellence and Achiever Award were first presented in 2006. Prior to that, the Award was known as the Family Friendly Employer Award and the Family Friendly Firm Award. 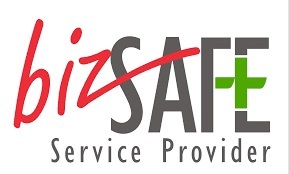 Awarded by the Workplace Safety and Health (WSH) Council and supported by the Ministry of Manpower (MOM), the bizSAFE training accreditation is a nationwide programme to promote Workplace Safety and Health. The company is a training service provider for this program. 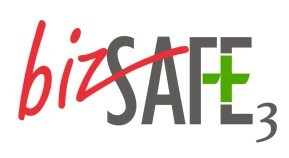 Awarded by the Workplace Safety and Health (WSH) and supported by Ministry of Manpower (MOM), the bizSAFE Star is the highest recognition whereby it promotes safety and health in the organization.